What is Point to Pointing? For many people it is their first introduction to racing – either as participants or as spectators. A large number of today’s riders, owners, trainers and officials all received their first taste of racing in Point to Points. Equally a large number of those who support racing as spectators – particular at National Hunt meetings – saw their first ever race at a Point to Point meeting. But that is only part of the story, for Point to Points are vital for the breeding and training aspects of the sport. Many horses that start their racing life at Point to Points graduate to the highest echelons of National Hunt racing both in Ireland and the UK. Almost all of the great NH races have been won by former Point to Point winners. Point to Point horses are also important in terms of the continuing worldwide reputation of Irish horses. Many are today exported worldwide. But above all Point to Point racing continues to be a sport, bringing together the many people who are happy to still see racing as a sport rather than a business. The first recorded, and now legendary Steeplechase match, took place in Ireland from Buttevant Church to St. Marys Church, Doneraile, in Cork in 1752. The riders raced from the steeple in one church to the steeple in the second church, hence the name steeplechasing was formulated. Many hunts organised their own meetings during the 1800’s, the most notable being the Ward Union and the Kildare Hunt who still continue to stage meetings at their respective venues to the present day. The sport then was run under the auspices of the hunt organising the meeting and in latter years the Irish National Hunt Steeplechase Committee (INHSC) assumed responsibility for staging meetings which are now run under the I.N.H.S Rules. The sport has expanded since and there are approximately 90 point to point venues registered and eligible to stage meetings during the season. There are approximately 115 meetings programmed in a calendar year. The Irish National Hunt Steeplechase Committee (INHSC) was established in 1869 and was given statutory recognition in the Irish Horseracing Industry Act 1994, the Horse and Greyhound Racing Act 2000, the Horse Racing Ireland Act 2016 as the Regulator for National Hunt racing. 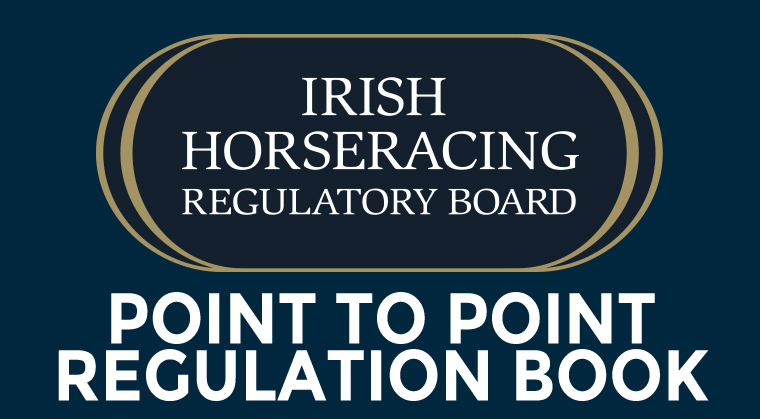 In addition to its role in National Hunt racing the INHSC is also responsible for the administration and regulation of Point to Points. The INHSC first established a set of regulations for the sport in 1900 and these are now defined as Regulations governing the sport in accordance with the INHSC Rules. Since the sport was established the INHSC has been the body responsible for the development of the sport which has grown into an industry worth approximately €20m annually. Point to Pointing is one of the few sports administered on an all-island 32 county basis. This is significant for many social and political reasons and has a positive impact on the sport’s participants. Point to Pointing is an amateur sport and is run predominately on a voluntary basis by local Hunts/Committees. The INHSC regulates it, performs administration, allocates fixtures in conjunction with Hunts/Committees and is responsible for its development. Through its involvement in the sport it has established an excellent working relationship with the local Hunts/Committees. Local Hunts/Committees transform green fields to racing circuits and return them to green fields again following a Point to Point meeting. They make the majority of the arrangements necessary to organise each meeting and provide staff on a voluntary basis on each race day. The Hunts/Committees are supported in their role by the INHSC which provides staff at each meeting to ensure the meeting is run in accordance with its Regulations. 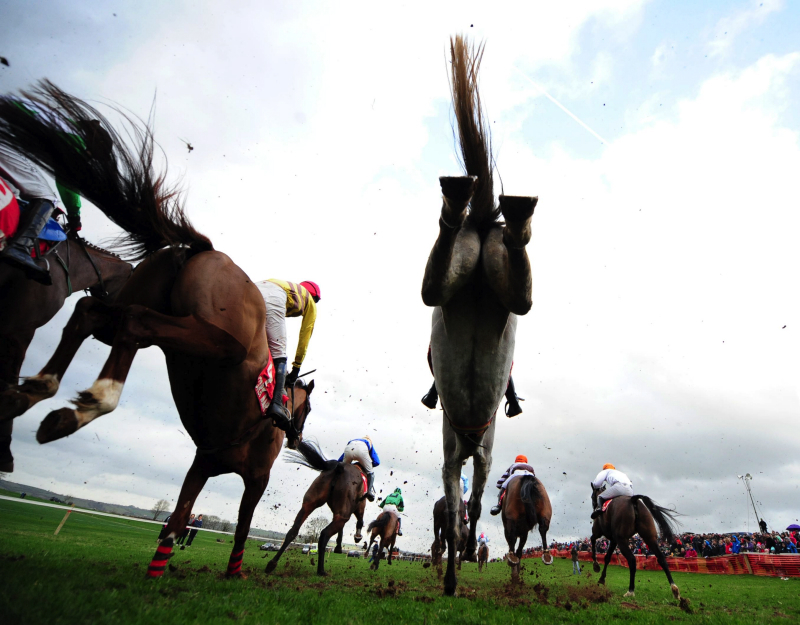 The sport is rightly regarded as the “nursery” of Irish National Hunt racing. Horses usually commence their career in the pointing field to learn the rudiments of jumping before progressing on to the racecourse. Many graduates of Point to Points have become household names on the racecourse winning the most prestigious blue riband races, including Cheltenham Gold Cups, Aintree Grand Nationals, Irish Grand Nationals and many other highly regarded National Hunt races. Best Mate – winner of 3 Cheltenham Gold, other Cheltenham Gold winners in later years include; Imperial Commander, Denman, War of Attrition, Cool Dawn,, Looks Like Trouble, Mr Mulligan. Recent winners of the Aintree Grand National that have also graduated from the point to point field in recent years include:- One For Arthur, Rule The World, Silver Birch, Monty’s Pass. Many more graduates have won numerous Grade 1 pattern races at home and overseas. The sport is also responsible for presenting an opportunity for aspiring young riders, trainers and officials. In recent years riders such as Ruby Walsh, Adrian Maguire, Paul Carberry, Timmy Murphy, Norman Williamson and Davy Russell started their racing careers on the Point to Point circuit while Aidan O’ Brien, Enda Bolger, Ted Walsh and Tony Martin honed their riding and training skills in the Point to Point field. In previous years the sport was dominated by celebrated point to point riders such as Willie Rooney, P.P. Hogan, Billy McLernon, Connie Vaughan, Nicky Dee and Timmy O’Callaghan. In more recent years John Berry, John Queally, J.T. McNamara, Derek O’Connor and Jamie Codd were champion riders on numerous occasions. Point to Pointing is a unique part Irish culture. The INHSC has regulated and administered the sport supporting Hunts, while being very conscious of the fact that it is a voluntary organised sport. The INHSC treads carefully to keep costs as low as possible while developing it and making changes for the good of all its participants. It holds annual and intermediate review days which provide all participants with an opportunity to discuss and assess a wide range of topics with the aim of improving the sport from an administrative, regulatory, operational, promotional, and safety aspect. Many improvements have been made as a result of the inclusive involvement of all stakeholders and in several instances, new ideas introduced in the Point to Point field have subsequently been adopted on the racecourse at home and overseas. 1. Send HRI a fully completed Grant Application Form before the Hunt takes place. 2. Supply HRI with an up to date copy of insurance for the point to point in question. 3. Supply HRI with a tax access and tax reference number to verify your tax clearance status for any payments over €10,000 in a 12-month period. 4. Return the necessary point to point certificates to I.N.H.S. committee (The Irish Horseracing Regulatory Board, The Curragh, Co. Kildare) for publication in the Irish Racing Calendar. 5. Please note if bank details have changed, HRI require the header part of a bank statement or a letter from your bank confirming bank details to be attached to completed change of details form. This form must be signed by both the Secretary and Master of the Hunt.